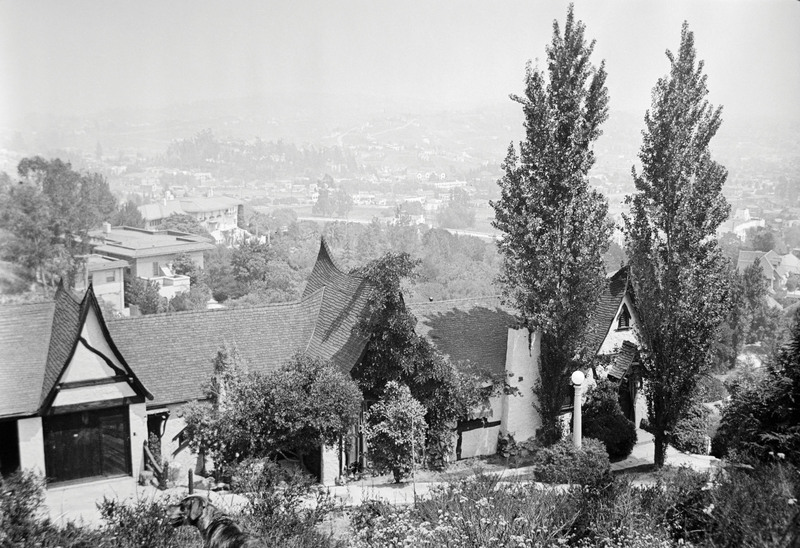 The Hlaffer–Courcier house of 1923 was inspired by art director Harry Oliver’s Tam O’Shanter Restaurant, just three miles down Los Feliz Boulevard. Civil engineer Rufus Buck designed the house, introducing wiggly timbers and a split chimney. Wind your way along the steep hillside flanking Griffith Park in Los Angeles, and you’ll encounter streets with old-world names. It seems fitting that, rounding a curve on Glendower Avenue, you stumble on a house straight out of a fairy tale. 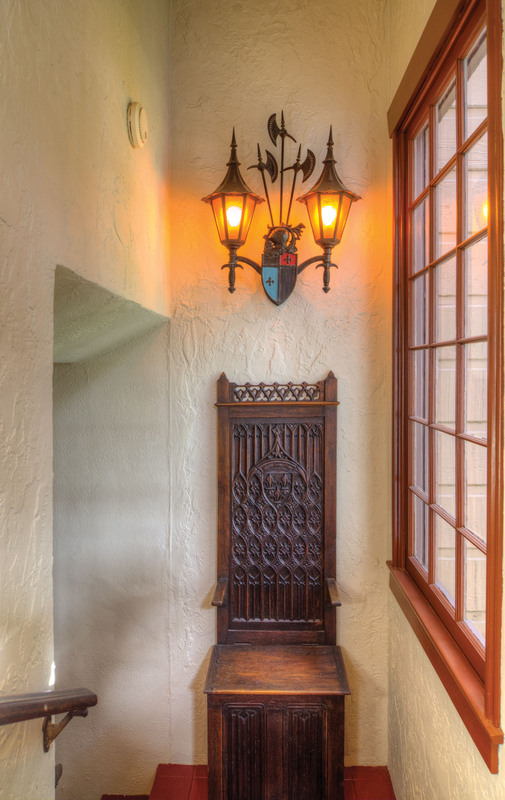 In a city known for make-believe and artifice, this Storybook home built in 1923 is a touchstone; its studied imperfections are perfectly imperfect. Lighting in the 1920s often looks like it came from a castle in old Europe. 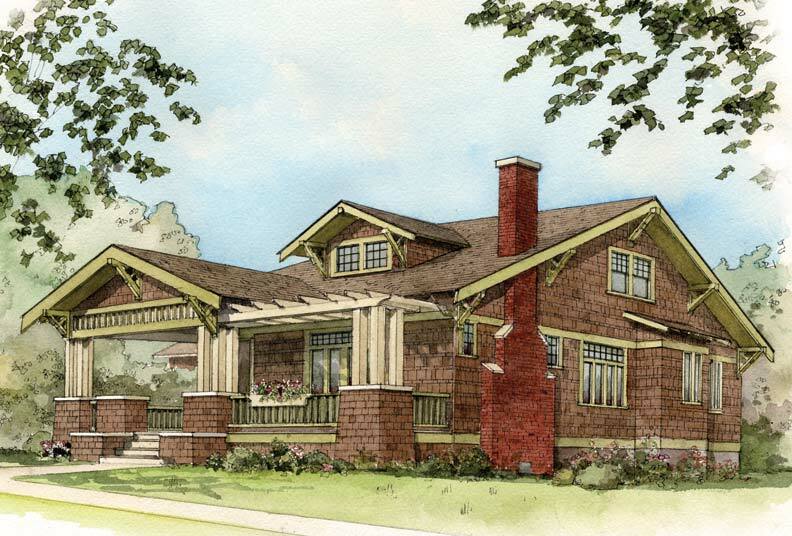 The theme carried over to Spanish and Tudor Revival homes of the period. The genesis of the house can be traced to a civil engineer named Rufus Buck, who was inspired by some of art director Harry Oliver’s creations. 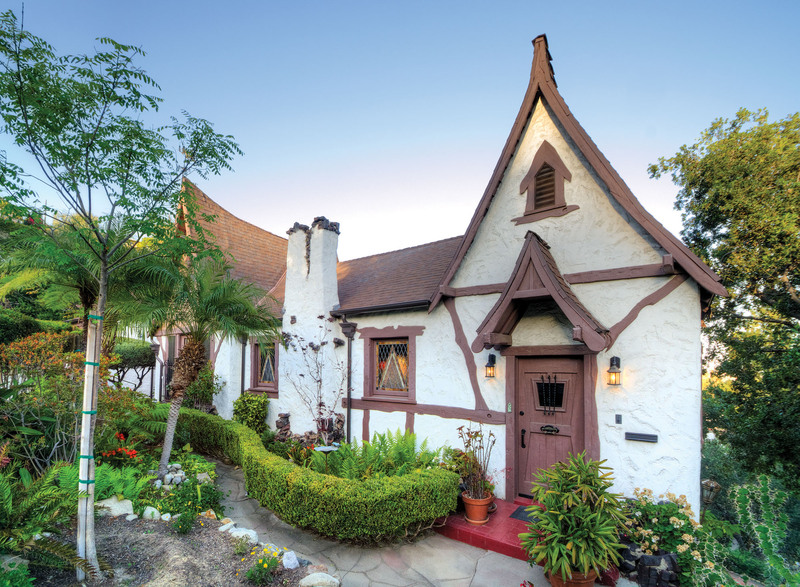 Oliver holds title to the Storybook Style’s first permutations; it was he who designed the Tam O’Shanter, a swayback restaurant built in 1921, as well as the first Storybook Style home, now called Spadena House or the Witch’s House, built as a movie set in Culver City in 1921. Heavy parging, troweled surfaces, matte tiles all are leitmotifs of the antiquated interiors in Storybook homes. 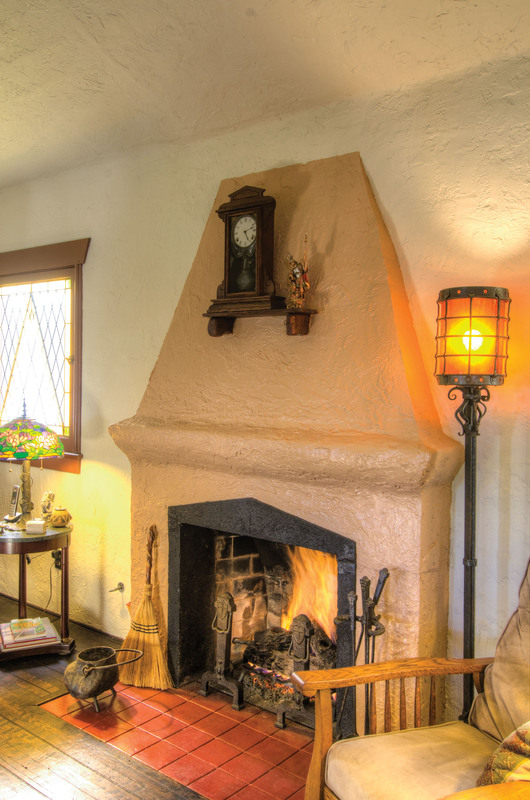 The design of the fireplace is original. Little is known about original owner Lulu Hlaffer, who may have fallen on hard times during the Depression, as the home went into foreclosure in 1931. In 1933, it was acquired by John and Irene Courcier. The house would remain in the Courcier family until Donald Brown and Chris Parsons bought it in 1999. Little had changed in three quarters of a century, save for some Bohemian features and furnishings added by the Courciers. The current owners’ furniture collection includes a straight-backed Louis XIV Seigneurial chair with a fleur-de-lis motif, made probably for a high-ranking official. Above it hangs a massive light fixture of the 1920s, with popular Storybook motifs including shields and broad axes—and more fleurs-de-lis. Later carpets and linoleum were ripped up, exposing beautiful oak floors. Unsympathetic light fixtures were removed. 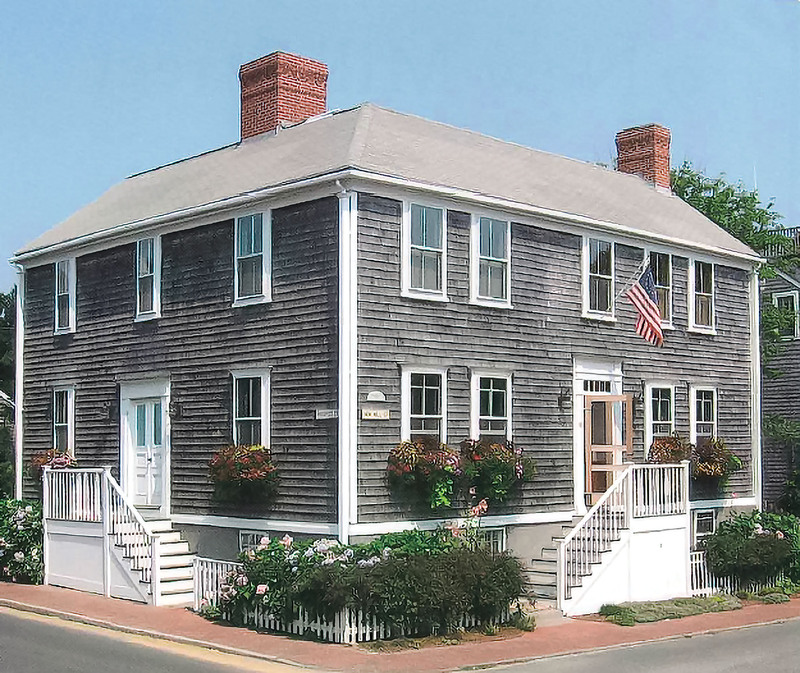 Window air conditioners and awnings were jettisoned, and modern heating and air conditioning unobtrusively installed. Upgrades were made to the kitchen and bathrooms. 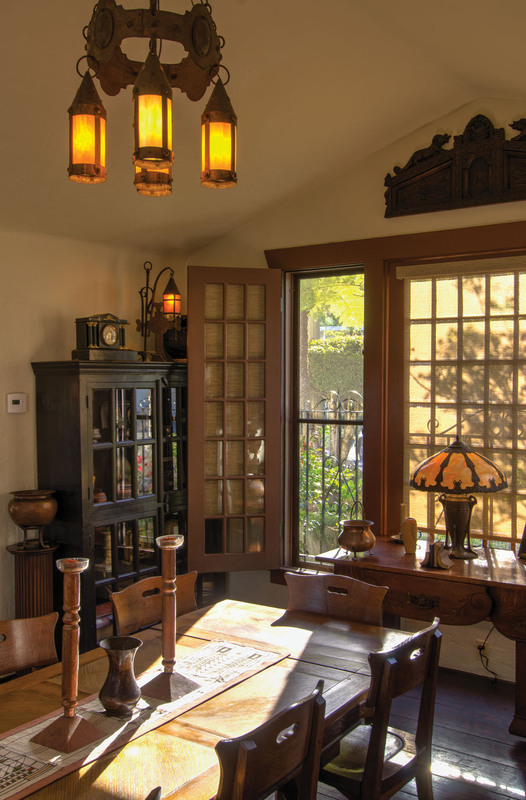 Soon Brown and Parsons, who are avid antiquers and travelers, could set upon “medievalizing” and rusticating the interior with a blend of wrought-iron and mica light fixtures, old-world antiques, and some bungalow-era Arts & Crafts furniture. Rooms are relaxed, comfortable, and unpretentious as a result. Unlike the case with more academic styles—Aesthetic Movement, Art Deco, even Arts & Crafts—original Storybook interior decorating was not married to any particular ethos. 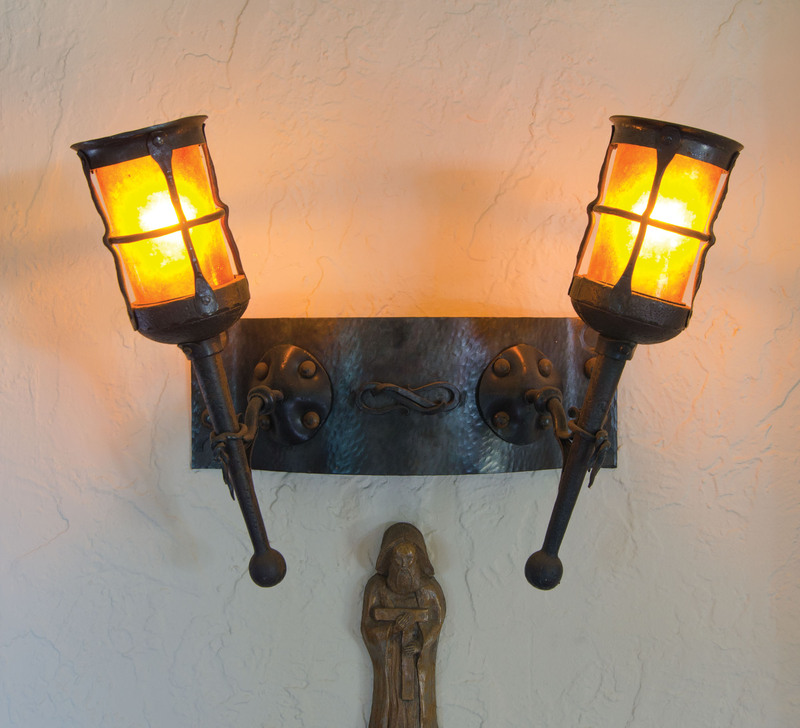 Given the style’s romanticized European roots, however, medieval and rustic do fit its informality. In other words, doilies are discouraged, but battle axes are perfectly okay. Looking for resources? See Sources for Storybook Houses.